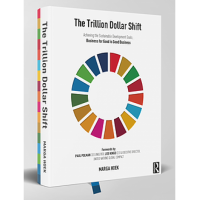 On January 25th, 2018, Marga Hoek’s latest book was presented at the World Economic Forum in Davos. Reversible Building Expo features Healthy Printing! The Reversible Experience Modules expo is Europe’s largest collection of products for reversible or circular buildings. It showcases products designed for circularity in combination with their entries in the BAMB Materials Passports database. The products form a real-life, interactive building area. Healthy Printing was used for the printed communication in the expo. The printing was done by Dekkers van Gerwen, using Green4Print inks. Both parties are also included in the expo. 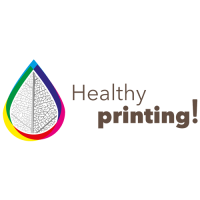 The Healthy Printing Initiative, launched by EPEA with support of the DOEN Foundation to scale up availability of healthier substances in printed publications and packaging, is welcoming more and more members willing to improve the printing industry. As the first year of this initiative draws to a close, we wanted to update you with this first newsletter and present some highlights. 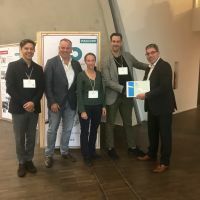 On October 21st, the Dutch company Green4Print was awarded a Cradle to Cradle Gold certificate by Lewis Perkins, President of the Cradle to Cradle Products Innovation Institute, for its ‘offset solutions’, including inks and varnishes. 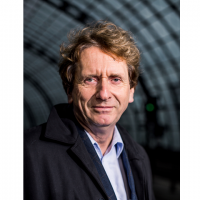 Op 21 oktober ontving het Nederlandse bedrijf Green4Print het Cradle to Cradle Gold certificaat van Lewis Perkins, President van het C2C Products Innovation Institute, voor haar ‘offset solutions’, inclusief inkten en vernissen. The scientific paper “Cradle to Cradle - Breaking with conventional sustainability concepts by defining chemicals positively”, written by EPEA CEO Prof. Michael Braungart and Cedric Wintraecken, was published in the ‘June - Annual on Sustainability’ issue of the Indian Chemical Industry Digest. Why the DOEN Foundation supports Healthy Printing! 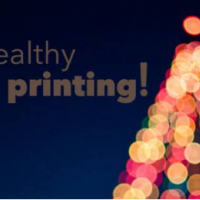 Earlier this year, EPEA launched the Healthy Printing! 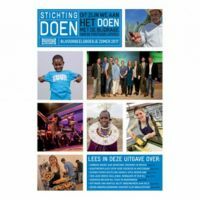 initiative with help from the DOEN foundation. The goal of the initiative is to upscale the use of healthy inks and printing chemicals, so cleaner paper recycling systems can be realized. Paper is recycled on a large scale today, but often heavily polluted. This may cause issues in new applications. The pilot website for Healthy Printing has been launched! We would like to invite all participants in an early stage to give us your feedback on the design, structure, and content. If you have any relevant content which you would like to have published on the website now, or in the future, feel free to bring it to our attention!